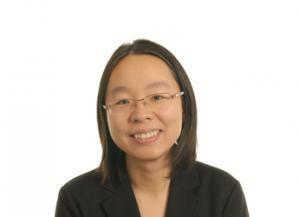 Dr. Jiaqi Ge is an agent-based modeller and economist. Her research focuses on developing agent-based computational models to study economic, social and coupled human-natural systems. She received her PhD in economics from Iowa State University in 2014, for which she developed an agent-based model of the U.S. housing market and studied the rise and collapse of the housing bubble. Since then she has been developing agent-based models in various areas, including housing, transport, urban systems, agricultural systems, and trade networks. She has worked on several international and interdisciplinary research projects, including those funded by the European Commission, such as FP7 (GLAMURS, grant agreement no. 613420) and H2020 (SMARTEE, grant agreement no. 763912). Liu, N.; Zhao, Y.; Ge, J. (2018) Do renters skimp on energy efficiency during economic recessions? Evidence from Northeast Scotland., Energy, 165, 164-175. Ge, J. (2017) Endogenous rise and collapse of housing price An agent-based model of the housing market., Computers Environment and Urban Systems, 62, 182-198.